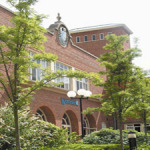 At the University of Worcester we offer a range of high quality conference accommodation. With over 1,000 bedrooms available from June to September, we have facilities to suit almost every need. We have a number of flexible meeting and lecture facilities with various seating options, the latest AV equipment and breakout spaces. You can also take advantage of specialist PC rooms, a sports and fitness centre, sporting facilities and a drama and dance studio on campus. We have a real understanding of the needs of conference organisers and are committed to delivering a high quality of service and can offer a dedicated event manager who will work with you to ensure your conference is a great success. For larger numbers we may be able to offer a residence for your exclusive use.